Always have stitch markers at the ready when you add this stylish yet functional accessory to your wardrobe! 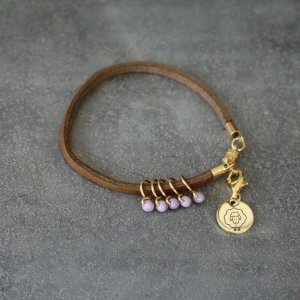 Each leather bracelet comes with 5 glass bead stitch markers and 1 locking charm, perfect for on-the-go knitting. 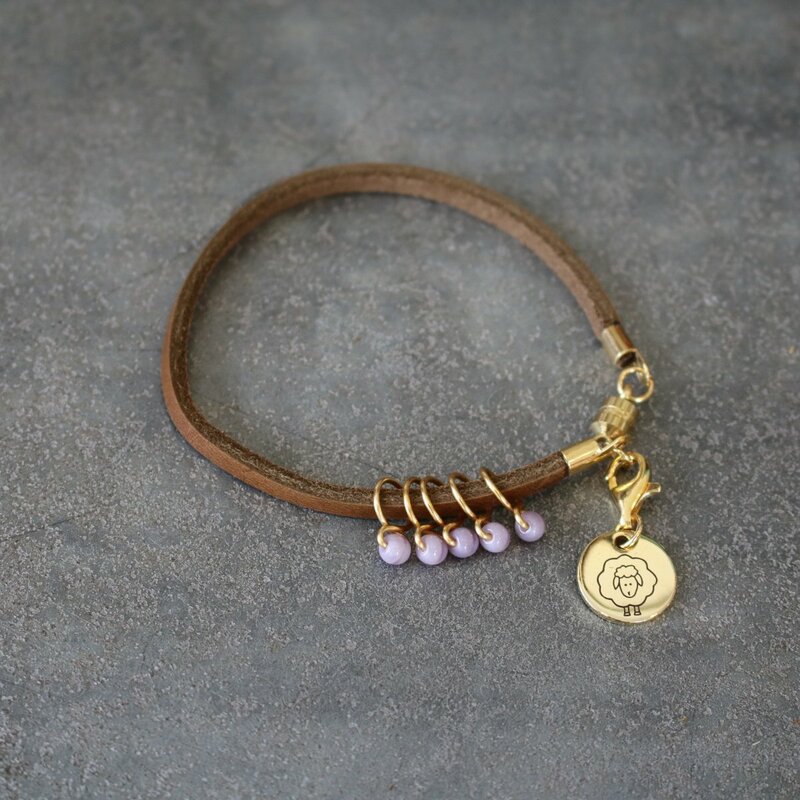 The Namaste bracelets feature a double leather strap, 1 stich marker with the Namaste lotus, and 3 glass bead stitch markers contained on an oval clasp. To purchase additional stitch markers for your bracelet, click here! 1 leather bracelet with magnetic closure, 5 ring stitch markers and 1 locking charm. 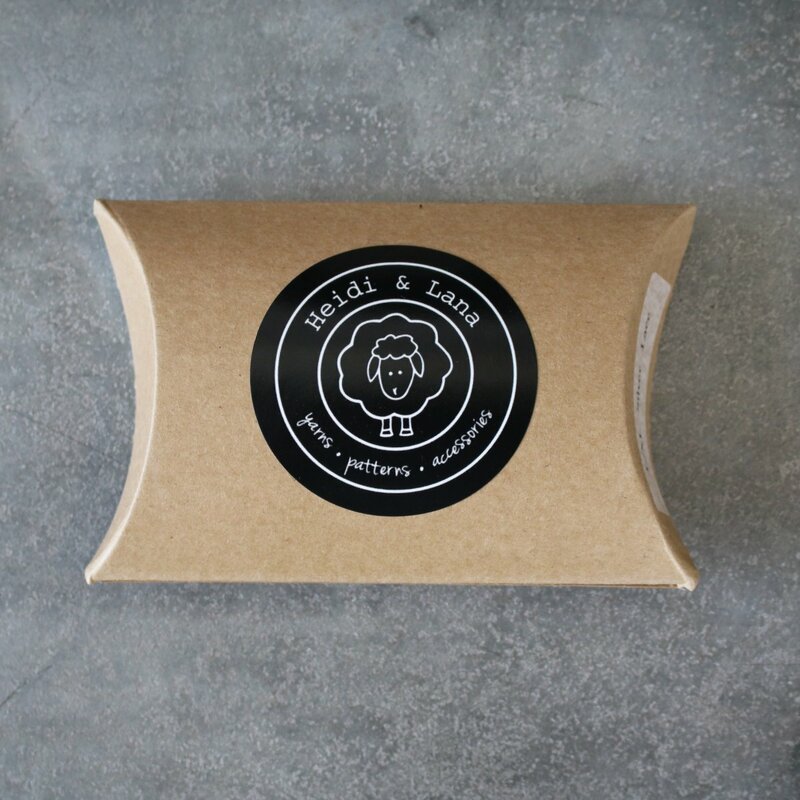 Will fit up to size US 8 (5mm) knitting needles. I Love Handles Wrist Ruler - 16" - Petal and Knitter's Pride Magnetic Knitter's Necklace Kit - Cherry Berry are both similar accessories: jewelry.